I had this pleasure to visit WordCamp in Gdańsk this year. It was my first meeting, so until end I was not sure what to expect by presentations, which level, and type of people which will visit it as well. Check out agenda items (in Polish). 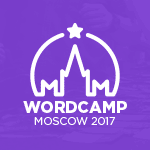 What was going on WordCamp in Poland?! 1. Daniel Dudzic „WooFramework” – speech was too general, no concretes, some people could find useful info about action hooks… as he explained later he was prepared that conference will visit mostly noobs. 2. Tomasz Dziuda „GravernWP Framework” – generally about features, how to start use it, experiences as group of people which started their career with Joomla, and things which they missed after moving to WordPress. In product itself I didn’t liked handling settings with JSON, in my opinion it should be changed to serialized array(s) in „WP Options” with filter hook to modify/extend settings. 3. Adam Selin about servers – informations which we should analyze while choosing server when ‚shared host’ stopped to be enought for us. Spoke about configuration and optimization, present benchmark results and how Varnish can decrease server load. 4. Marcin Pietrzak „Clean after yourself” – he didn’t said or show anything new, but reminded to all of us how important is cleaning, which problems may cause poorly written plugins, and show it really good on a example issue which they had on own website. 5. Marek Kowal „WordPress in Onet.pl„ – good speech about scalability and migrating to WordPress, explained clearly many various solutions and their positive and negative points. Speech was based on experience taken by handling 5mln blogs… as in previous speech about servers – the power of Varnish. 6. Łukasz Więcek „Earning on plugins” – many useful informations organizing plugins, how to separate plugin for free and paid version, pricing, and distributing in WP repository. Pointed list of things which we souldn’t do, to live with WP policy and moderators in harmony. 7. Michał Stanowski „Migrating blogs” – this one presentation get some negative feedback with which I’m not 100% agree. From my point of view, the bad point of presentation was that he didn’t mention at beginning default WordPress tools for exporting and importing data, and possible issues with serialized arrays by using ‚hardcode way’ which he presented. 9. Łukasz Rysiak „Google Analytics” – shows the technics of getting from GA something more then just information about traffic, example with tracking customer in cart, checking how many users really read articles, bounce rate, etc. 12. Kim Gjerstad „Building a business around Wysija„ – good speech, part which catched most of my interest was about used ways to promote plugin, to ask client to „Rate”, „Share”, „Like” etc. after solving his issue, providing support. Hope to see you all on WordCamp WrocLove 2013! Wpis opublikowany w General i otagowany 2012, gdańsk, overview, poland, wordcamp 14/10/2012 przez meloniq.